NEW DELHI — India's top court on Friday ordered an autonomous federal anti-corruption commission to quickly complete a probe of two top officials in the country's investigative agency who have been placed on leave following an internal feud. The Supreme Court took up a petition by Alok Verma, the director of the Central Bureau of Investigation, who challenged the government for divesting him of powers during an agency inquiry of his deputy, Rakesh Asthana. The personnel changes on Tuesday were seen as an embarrassment for Prime Minister Narendra Modi's government with the agency's internal feud becoming public. Three judges ordered India's Central Vigilance Commission, which had recommended the removal of both Verma and Asthana from their posts, to complete the probe within two weeks. They also said that M. Nageswar Rao, whom the government named as interim CBI chief, could not make any major decisions. Under Verma, the federal agency filed a case against Asthana on allegations that he took bribes from a meat exporter. 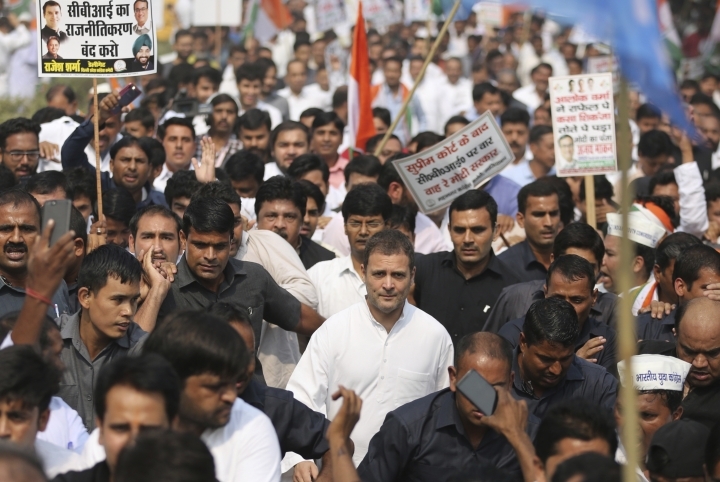 Rahul Gandhi, chief of the main opposition Indian National Congress party, has accused Modi of removing Verma to quash a probe into the purchase of 36 French Rafale aircraft for the Indian air force. Gandhi appears bent on making the aircraft purchase an election issue ahead of national polls due early next year. 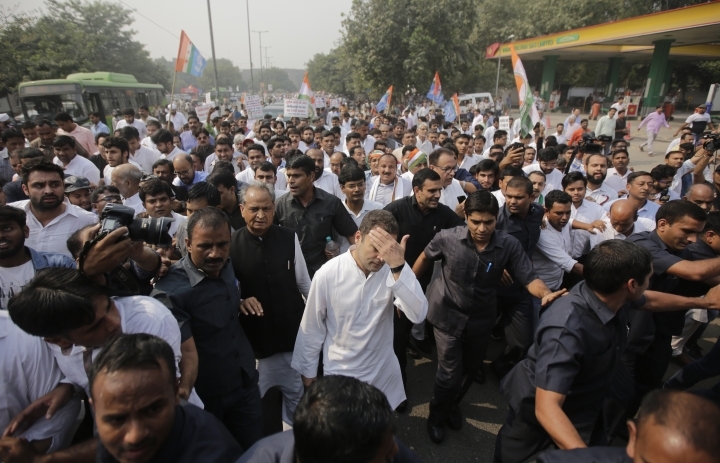 On Friday, Gandhi led a protest by hundreds of party supporters outside the New Delhi office of the CBI, demanding an investigation by a parliamentary panel into the Rafale deal, which Modi's government signed with the French government in 2016. 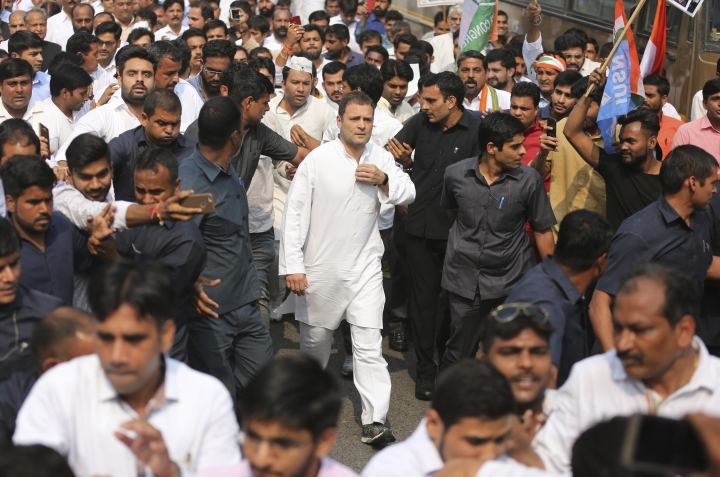 Gandhi and his supporters later drove to a nearby police station and offered themselves for arrest in a symbolic action. They were sitting in the police station and were likely to be allowed to leave. 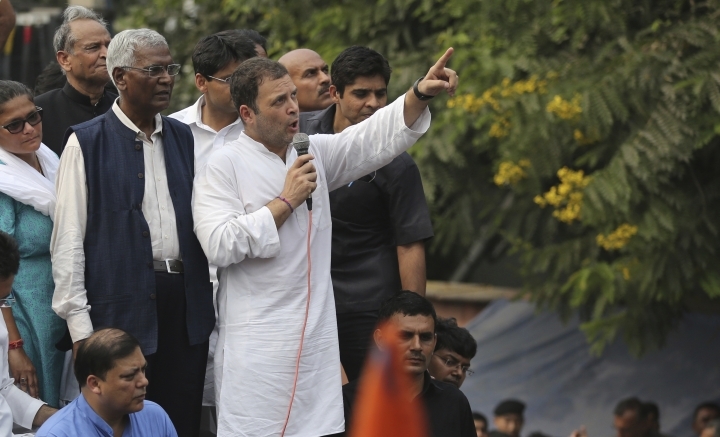 Gandhi has accused the government of buying the aircraft at nearly three times the price the Congress party had negotiated before losing power to Modi's Bharatiya Janata Party in 2014. Defense Minister Nirmala Sitharaman has denied the claim, but refused to disclose the value of the deal, citing a secrecy clause. Gandhi also accused Modi's government of favoring a company owned by industrialist Anil Ambani, Reliance Group, when choosing an Indian partner for Dassault, the French manufacturer of the Rafale aircraft. India's government has denied any wrongdoing. Dassault said earlier this month that it has "freely chosen to make a partnership" with India's Reliance Group.